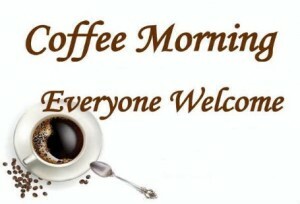 A rota for organising coffees and teas, which are served after the 10.00am Mass each Sunday, is placed in the Cenacle by Anne and Colin Clark, and you are asked to add your names to this rota. A team of two or three people (probably family members) is needed each Sunday to keep this popular social occasion going. Please volunteer to help by signing-up on the rota.